One of the mistaken notions that many people have is that Lehmann was primarily a Richard Strauss and Richard Wagner opera singer. The photo on the left shows her as Manon in the opera of that name by the French composer Jules Massenet, a role that in sheer number of performances far outpaces her Vienna Opera Marschallins in Der Rosenkavalier by Strauss, her Sieglindes in Die Walküre by Wagner, or her Fidelios in the eponymous opera by Beethoven. 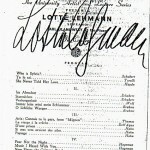 Here are a few further misconceptions about Lotte Lehmann. She wasn’t born in 1885 or the other strange dates that crop up from time to time. Below is a copy of her birth certificate and 1888 is the correct year. There is even some confusion about her death year. It was 1976. She never converted to Catholicism and never had children of her own. Lilli was old enough to be Lotte’s mother if not her grandmother (there was in fact no family relationship at all)…Once either of them had uttered a note they could not possibly have been mistaken one for the other…Yet even that amounted to little compared with the difference in personality. Lotte was charming, Lilli was stately. Lilli was respected, Lotte was loved. 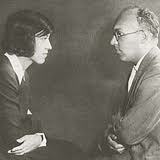 • She is NOT Lotte Lenya, who sang cabaret and was married to Kurt Weill. Once when Lehmann was visiting Europe in her retirement, the famous American actress Lillian Gish requested a visit with her, thinking that she was Lenya. After the mistake was discovered, they nonetheless had a good conversation. • The controversy over her tale of meeting with Goering has been thoroughly analyzed by Dr. Kater in his Lehmann biography, Never Sang for Hitler: The Life and Times of Lotte Lehmann. Lehmann’s version was self-serving though colorful. There are other misconceptions that I try to correct in the page on Lehmann’s private life. • Lehmann was intimate with Walter’s contemporary, Italian conductor Arturo Toscanini. 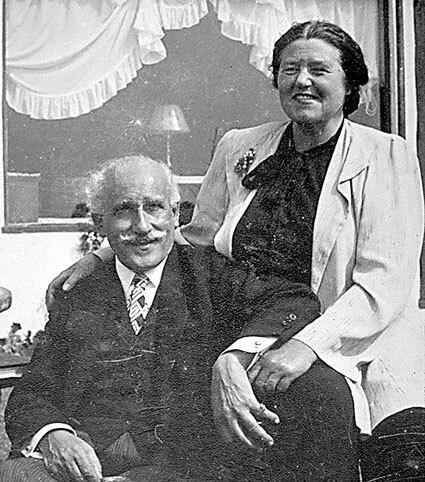 See the page “Lehmann’s Conductors.” Late in their lives, the musical and the romantic (even sexual) mixed together; we have Toscanini’s love letters to prove it! • Other speculations on Lehmann’s personal life involve her relations with women. There is no evidence that she was sexually active with women. 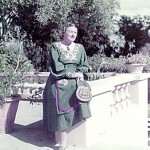 She did live with Frances Holden from 1938 (the year her husband Otto Krause died) until her own death in 1976. Frances had some lesbian relationships when she was young, but when she met Lehmann all that changed, as Lotte became the (platonic) love of her life. Many people can’t imagine them living together platonically. I was with them both many times; there was the intimacy of a lifetime of companionship, but I witnessed nothing more. In her later years Lehmann seemed to enjoy the company of gay men and many of her students and close friends were gay men. • Lehmann wasn’t Viennese. She was born in Prussia. After a short adjustment time at the Vienna Opera, she did better than “fit in” and soon seemed more “Viennese” than the Viennese. • As I mentioned earlier, at the Vienna Opera Lehmann sang Massenet’s Manon more often that the Strauss and Wagner roles most people associate with her name. She also reckoned her role as Fidelio, one of her major accomplishments. 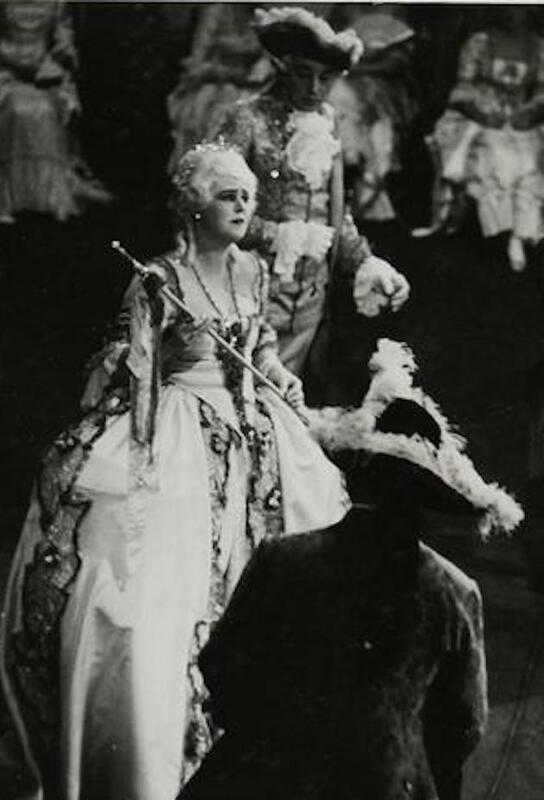 Besides the Marschallin and Fidelio, Lehmann’s other favorite roles were Elisabeth in Tannhäuser, Elsa in Lohengrin, and Sieglinde in Die Walküre, all Wagner operas. • Writers sometimes complain that Lehmann didn’t sing the operas of her time, often citing the very successful Jonny spielt auf by Ernst Krenek, or Berg’s Wozzeck. And it is true that Lehmann wasn’t interested in jazz or atonal music. But she did perform in many world premieres of operas that every major opera company even today try out, hoping for a hit. Lehmann’s flops included Julius Bittner’s Die Kohlhaymerin and Die Musikant, Wilhelm Kienzl’s Der Kuhreigen, and Walter Braunfel’s Don Gil. She performed in world or Vienna premieres of Pfitzner’s Palestrina, Korngold’s Der Ring des Polykrates and Das Wunder der Heliane, and Intermezzo by Strauss, which are seldom heard today. She did sing the successful early 20th-century operas such as Turandot, Der Rosenkavalier, Die Frau ohne Schatten, and Arabella. LL gives too much at the beginning and runs out of space. • For Lehmann, running short of breath came across as a great generosity of spirit, her voice flowing out without caring what would happen when her breath ran out. She often said that she made a virtue out of this “necessity” by infusing the quick intake of breath (in her own lifetime this became known as the “Lehmann catch breath”) with the intent of the poem, whether to show tragedy, wonder, love, or exaltation. • Critics complained that she broke phrases to catch a breath. Though this was true of her last years, her breath control was of average ability until she reached her mid-50s. In this 1941 recording of Beethoven’s “In questa tomba oscura,” she demonstrates excellent control of its demanding long phrases. In questa tomba A music historian wrote that lamenting Lehmann’s shortness of breath is like criticizing the Venus de Milo for not having arms. • Another misconception is that she always had trouble singing high notes, but this can easily be dismissed by the 1925 recording in which Lehmann sings Butterfly’s entrance with a long-held alternate high Db at the end. Bald sind wir…Über das Meer..
As with most sopranos she began to lose her top notes in middle-age, but it wasn’t noticeable because she cleverly chose her Lieder repertoire to avoid high notes and had already relinquished most of her opera roles that demanded the extreme high range. 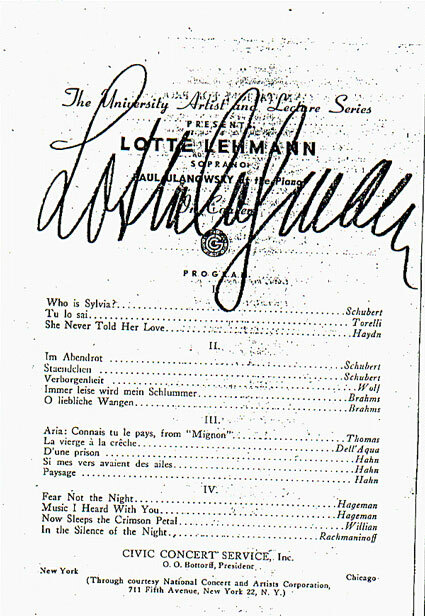 • It’s sometimes written that Lotte Lehmann was a mezzo-soprano, and though she was able to sing with a healthy sound into the depths of a mezzo’s range, she was actually a lyric-soprano. She did successfully sing the dramatic Leonore in Fidelio and the demanding Turandot (not congenial to either her temperament or voice), but generally she stayed with the lighter soprano roles. • Lehmann said that after her farewell recitals in 1951 she lost her voice completely. This wasn’t really true. The collaborative pianist, Dalton Baldwin, was present when Lehmann demonstrated a complete phrase of Wolf’s “Verborgenheit” for Gérard Souzay in full wonderful voice, years past her retirement. Frances Holden told me that she did keep her voice, but it had just become limited with the passage of the years. As a result, after 1951 Lehmann didn’t feel comfortable singing in public (except in master classes an octave lower). In another example, a vocal music fan, Jack Lund, wrote that he was “at the Wigmore Hall [in the late 1950s] when Lotte gave her master class and Act I of Rosenkavalier and she sang out in full and glorious voice.” At the MAW during master classes she sometimes forgot herself and sang a phrase in the soprano range. We also have a recording from one of her master classes at Caltech when she demonstrated a phrase from Die Walküre in full voice. • Sometimes Lehmann herself provided incorrect information, the result of her advancing years. She once stated flatly that she’d never recorded or performed with George Szell, yet we have her famous 1924 disc from Korngold’s opera Die tode Stadt, with Richard Tauber, tenor, as proof that she did! She also performed in Berlin opera houses under Szell’s baton. Die tote Stadt. Was Lehmann Always So Serious? The wealth of tributes to her work sometimes obscures Lehmann’s wit and lively personality. Here are excerpts from Dr. Herman Schornstein’s memories of Lehmann. Lotte told me something about showing her passport at the Austria-Germany border and complaining to the guard about it displaying her date of birth. Whereupon, she said, he knocked an ink-bottle over on it. It probably was those blue eyes of hers. Another overlooked aspect of Lehmann’s discography is the fact that she recorded “pop” music. These were the waltzes and fox-trots of the day, and Lehmann still sang with the good diction and the same meaning of every word that she offered in arias and Lieder. Just listen to the style of these two light songs recorded between the wars. • Did you know that the 1975 movie called The Day of the Locust uses Lehmann’s recording of “Feldeinsamkeit,” a Lied by Brahms? • Lehmann inspired the dedication of many works by composers including Wilhelm Kienzl, Paul Redl, Mario Castelnuovo-Tedesco, Robert Heger (Fünf Gesänge nach Versen von Lotte Lehmann, Op. 24), Léo Sachs, Felix Weingartner (An den Schmerz) (a song cycle dedicated to Lehmann), and others. • Better known is the fact that Richard Strauss wrote several operas with Lehmann’s voice in mind. • After her death, seven of Lehmann’s poems inspired American composer Thomas Pasatieri, who set them as a song cycle for voice and piano. Later he orchestrated the Sieben Lehmann Lieder. • Ned Rorem used Judith Sutcliffe’s English translation of Lehmann’s “I Never Knew” for one of his songs. The same spontaneity and generosity of spirit that people hear in her recordings is what I experienced of the “retired” Lotte Lehmann. But this spirit could cause misunderstandings and problems, which have found their way into print. I’d begun taking my baritone friend for lessons with Lehmann in the fall before I attended the MAW, which is a summer institution. That summer Martial Singher was the new head of the voice department; I was curious to see how the transition would work. Because my friend was also studying at the MAW, I sneaked in with him and was the only non-vocal student present for the first meeting that Singher held for his new voice students. He told them that he was going to do things differently from the way Mme Lehmann (and even he called her that) had handled the lessons and master classes. There were to be rehearsals ahead of time for the opera scenes. The students would continue to prepare songs with their coaches. Though Lehmann wasn’t present, Singher was deferential, complimentary, and in no way criticizing the way that Lehmann had run things. I emphasize this, because some people have described extremely bad relations between them. In fact, Lehmann had always respected Singher’s teaching. Though it is reported that the MAW music director Maurice Abravanel appointed him, I’m sure her influence helped select Singher as her successor. She had used his services early on at the school and knew that he would bring a level of vocal-technical teaching that she could never offer. In the early years of the MAW she’d also relied on Tilly de Garmo and Armand Tokatyan for that, and now with Singher she knew there was a vocal-technical and interpretive instructor. Lehmann even consulted Singher by mail, discussing a particular private student’s technical problems. She never liked dealing with vocal technical matters, repeatedly saying that she was only teaching interpretation, though her students often reported learning much technique from Lehmann. I came to know Singher personally, attended every one of his master classes (both of opera and art song), and never heard him utter a single word of disrespect towards Mme Lehmann. While my friend studied with Singher, he also continued his work with Mme Lehmann. She never signaled her dislike or any other reservations when it came to Singher and supported him in his continued work with Singher. It pleased me that the MAW transition from Lehmann to Singher had gone so well. 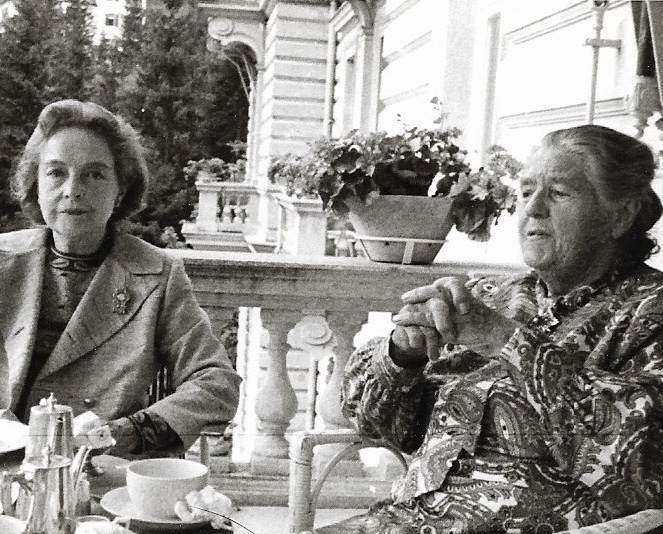 Lehmann supposedly had issues with two of her most illustrious students: so-called racism toward Grace Bumbry and the brouhahas with Marilyn Horne. Lehmann was as complex as anyone and there were sure to be some less-than-perfect exchanges between her and her students. Personally I know how proud (and engaged, even in their private lives) Lehmann was of her students, even if she sometimes tried to relive her past through them. This is common of many music teachers and not a behavior to condemn. Lehmann looked for the creative, artistic spark in her students. Bumbry already had a beautiful voice; Lehmann’s job was to awaken her as an interpreter of roles, text, poetry. She did intensive training involving the intricacies and psychological motivations of opera characters for the characters Bumbry was studying. 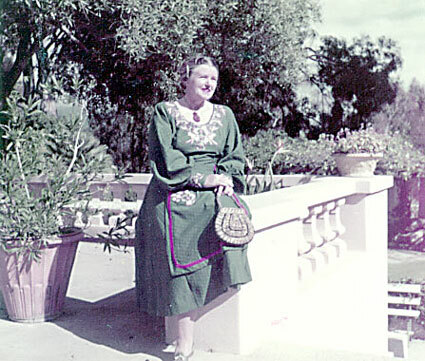 When Lehmann believed that she was ready, she accompanied Grace on trips to Europe, introducing her to agents and others who could aid her career. This was not someone who had racial prejudice. Grace became the daughter whom she never bore. Lehmann was present when Bumbry first sang in San Francisco and continued to give her advice, perhaps beyond when it was needed. While Bumbry was still her student, listen to the eagerness with which Lehmann promotes her in the Studs Terkel interview. With “Jackie,” which is how her friends know Marilyn Horne, there were several situations in which Lehmann offended her. After Horne’s 1950s Santa Barbara recital, Lehmann, perhaps envious of all her gifts, may have been looking for something to criticize. She focused on “poor German diction,” which she condemned in front of a master class audience at the MAW. This wasn’t kind of her and Jackie found it hurtful. She often brought up the occasion during interviews, in her autobiographies, and in an Opera News article on Lehmann. In each case misquoting Lehmann’s words. Even though I have sent Horne the exact transcription of the master class in question, she continues to use her incorrect memory. On another occasion, Lehmann was supposed to have made a disparaging remark upon learning that Jackie was pregnant. (Lehmann often advised her female students against becoming mothers.) It was unkind and uncalled-for, but Lehmann sometimes did speak her mind without considering the consequences. One February I attended a Marilyn Horne recital in Carnegie Hall. When she finished her program she spoke to the audience and reminded them that today was Lehmann’s birthdate and then sang an encore in memory of her great teacher. Authors looking to criticize elements of Lehmann’s life are able to find situations that illustrate her weaknesses—vanity, greed, or hypocrisy. Unfortunately, her enduring admirable qualities that don’t make for scandals are discounted or ignored. I have been in touch over the years with many of her students, friends, and colleagues who consistently celebrate the positive aspects of Lehmann’s character: generosity of spirit and pocketbook; enthusiastic joy and support in students’ achievements; a constant P.R. department advertising her students’ successes in interviews and articles.